Thought you saw the last of my photography-centered posts since leaving Canada? Think again! I’m quite excited for the throwback because it means that I had an opportunity to travel and go somewhere new worthy of lots of pictures. When you have a decent phone, it makes the process pretty easy. So while my trip this time was only a mere fraction of the last one length-wise, I am so blessed to have been able to do so. After about six months without seeing each other, I was able to fly out to Virginia where my brother is attending law school. I don’t know about other siblings, but when it’s just the two of us, we’re pretty close. I could say he’s the best friend that has stuck around with me through it all. I mean, he didn’t really have a choice. But we’ve ended up just always talking and enjoying each other’s company. In that I’m very grateful. So as a student at the University of Virginia, you’d think he would have lots of different places to visit, right? To an extent, at least. Charlottesville is still a college town on the east coast, so you have LOTS of trees. Everywhere. Winding roads that feel like lead to random 3-way intersections and dead ends. You see men walking around on a casual day wearing khakis and polos or at least spiffy button-downs. Stores downtown are basically either restaurants (especially chocolate shops for some reason) or boutiques selling preppy-style attire. Vineyards and taverns up the whazoo. People drive around in Mercedes, Audis, Porsches, and Jaguars. Whatever I pictured as the east coast, it was that. 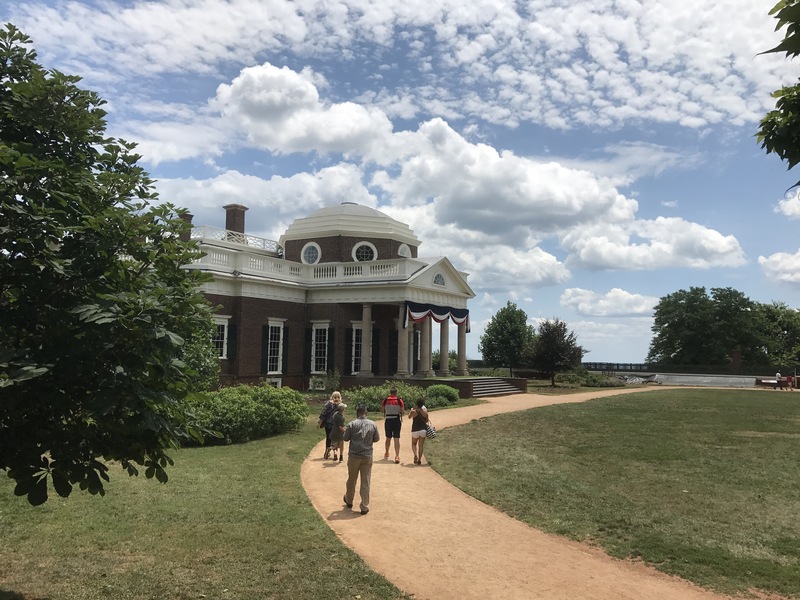 But we did plenty of walking (enough to make one of my shoes start to fall apart) and went to two art museums, an art shop selling original prints from Warhol and Dali (to name a few), Monticello, the University of Virginia campus, and an Edgar Allan Poe museum in Richmond. Plus, we got to catch up, but when you talk every day, it feels like you just saw each other not too long ago. Richmond, Virginia, has the largest collection of artifacts from the life of Edgar Allan Poe. 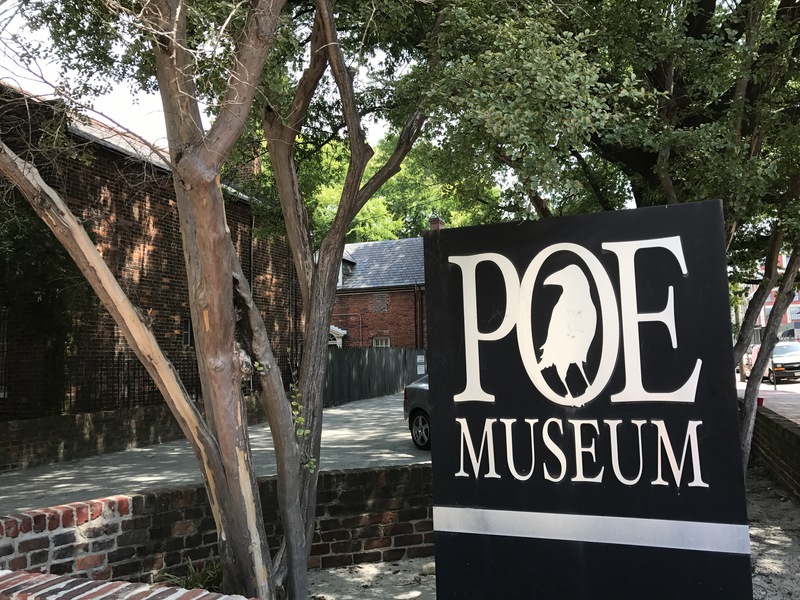 As a ridiculously huge Poe fan myself, needless to say this was my favorite museum to visit. Rather than a typical gallery, Graves International Art sells some amazing pieces. 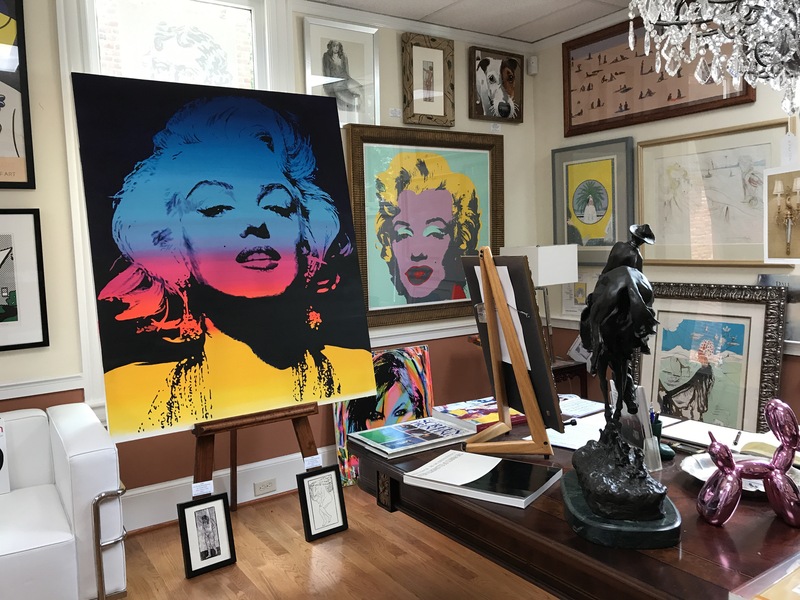 Warhol and Dali are just two of many names available for purchase. I mean, if you have that kind of money. The University of Virginia, appropriately, has a LOT of Jefferson statues. Might as well pull an Oprah and give them out to everyone. This particular photo was in the UVA Rotunda. Known as The Lawn, this a center spot for academics on campus. Along the edges are historical rooms that cost a pretty penny to live in despite the fact none of them have bathrooms. This artwork is at the Fralin Museum of Art. I very much appreciate that UVA sponsors valuable spaces of artistic value. Fun fact: We stumbled upon a KKK vs. Black Lives Matter rally over a park statue of Confederate general Robert E. Lee. With all of the history surrounding us, it was amazing to say we were immersed within history in the making. Charlottesville’s downtown mall area is really quaint. Lots of boutiques, restaurants, and book stores while maintaining the integrity of classic East Coast culture. Yup, another Jefferson statue. And a big letter Z on the staircase. 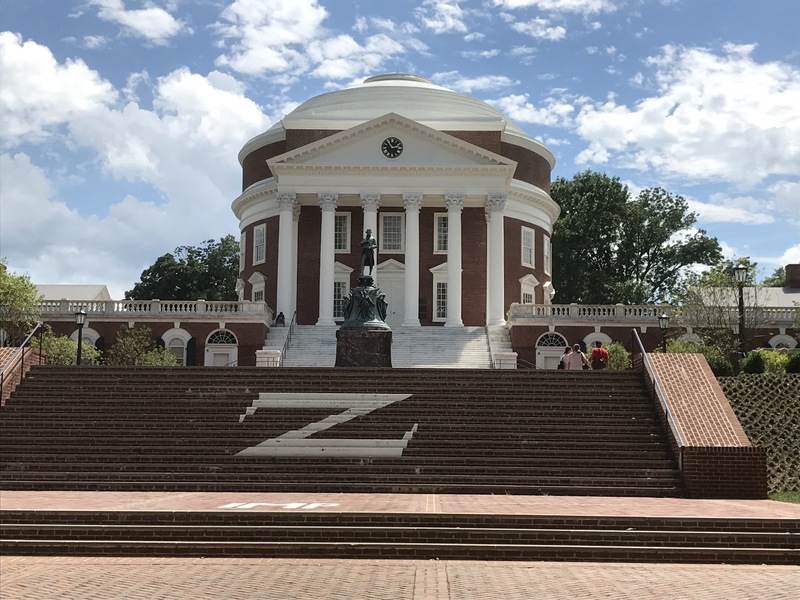 If anybody can crack the code of the symbolism throughout the UVA campus, be my guest. 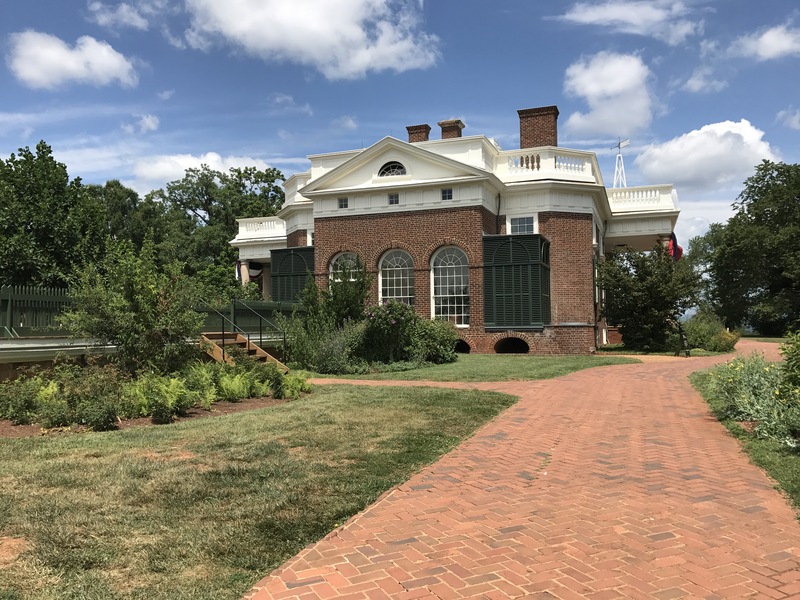 Did I feel like I was a cast member of Hamilton when visiting the famous Jefferson home Monticello? You bet I did. 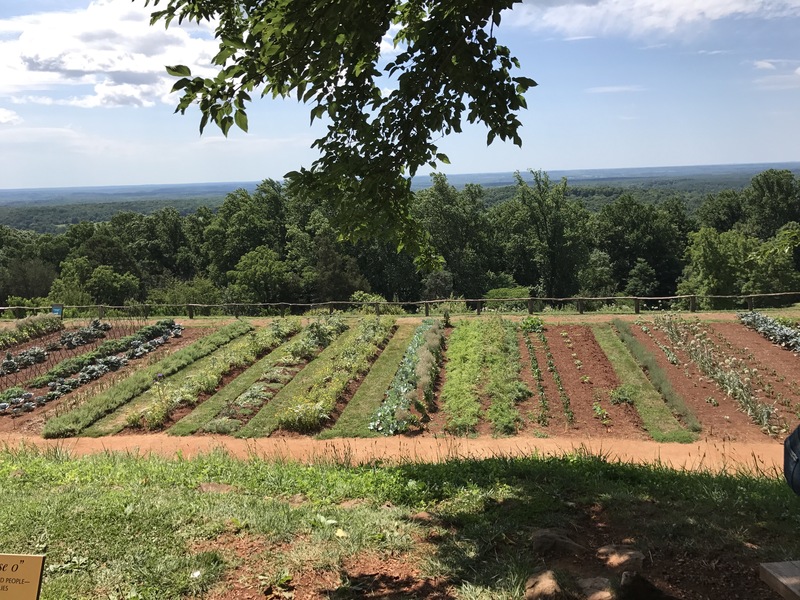 And the history of slavery on the property was also very enlightening.